Over the next couple days, I’ll be participating in the 12th Annual Open Education Conference #OpenEd15: The Impact of Open. It’s a conference I’ve always wanted to attend, but for various reasons haven’t been able to make it happen. This year, we’ll make it work. For folks at home, tune in to the live stream keynotes, and a rich twitter stream. Expect to hear some of the most forward-thinking learning professionals discussing how open open educational resources (OER) can dramatically improve the quality of education. At the risk of telling you what you should do, don’t miss it. There’s good work be done. Links to some of these projects below. Let me know if you’d like access to any of the source files, or if you have any questions. 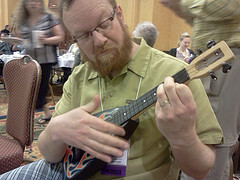 I’m just back from eLearning 2011 in sunny Florida. Hands down one of the best conferences I’ve attended. Fabulous keynotes: (@cogdog, @colecamplese, @busynessgirl, & @opencontent). I’ll be posting some reflections on these presentations at some point. Inspiring sessions from people I’ve known from awhile and from some new friends, and an idyllic setting (especially when juxtaposed with cold and snowy southern Ontario). Many thanks to the organizers and all who participated. Hope to see you next year. What if you could rebuild the University from the ground up? Wait for the punchline at the end. The Guelph technology sector is one of the key elements to the Guelph economy, and is growing. I was honoured to be asked to be part of the steering committee for the 2nd Annual Guelph Technology Economy Conference – January 18, 2011. There’s a great line-up for this, ranging from Jim Jarrell to Doug Minett to Kirk Roberts to Kelly Brooks and others. Arts & Digital Media, Innovation Guelph, Mobile Applications, Cloud Computing, Data Acquisition and Processes and Local Recruiting, Food, Prizes, and all that. Up early this morning to catch my ride to Toronto Pearson airport, en route to Chicago for FUSION, the annual Desire2Learn Users Conference. This will be my sixth time attending FUSION. I’m one shy of a perfect record, as I was off one year on parental leave. It’s a good conference. Three days, hanging with system administrators, instructors, technical support and help desk staff and institutional administrative staff from K-12, Higher Education, Corporate, Government institutions. 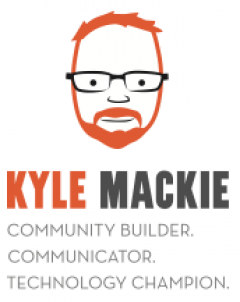 I’m excited to (re)connect with D2L users to share experiences and build knowledge. It’s a lot of fun too.
. Excited to hear Joel Cohen and Stuart Brown. Gotta run. I’ll be trying to capture some of my experiences in my D2L10 ePortfolio. Coming down from a conference high. #a4a10 – Aiming for Accessibility: meeting standards, making change was a tremendous event. Congratulations and thanks to the speakers, attendees, organizers and sponsors. Chronic conditions are the health care challenge of the 21st century. Accessibility means revenue. People with disabilities are an untapped resource. Simply Accessible (Derek Featherstone). Design ideas for disabilities. Good design is accessible design. supporting material, links, literature: tinyurl.com/bcboogie. Thanks to everyone who participated, and to @giuliaforsythe for co-presenting. Great session!